In Austria two suspects entered a monastery church in the northern part of Vienna and robbed it, leaving about a dozen of monks injured. The crime took place in broad daylight; the perpetrators broke into the Church of Maria Immaculata in Vienna’s district of Floridsdorf around 13:30 local time. The robbery lasted for hours, they reported, adding that police have also found “tied and [in some instances] heavily injured” monks only three hours later. A manhunt was launched following the incident as major police forces were deployed. Police have confirmed that five people, all of them monks, were injured in the attack. One monk suffered serious injuries. A 68-year-old monk was at the premises of the church when the robbers broke in. They threatened the man with a firearm and forced him to lie on the ground. The perpetrators then hit him and trampled upon him, inflicting serious head injuries, the Austrian Kronen Zeitung reports. 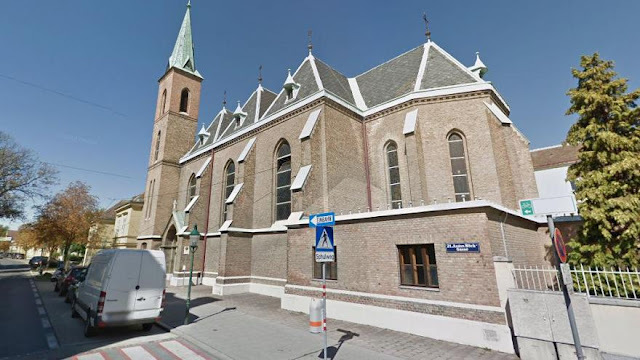 Four more monks, who arrived at the church later, were also attacked and injured, police spokesman Harald Soeroes told Kronen Zeitung. The suspects are still on the run, their identities unknown. Soeroes described one of the suspects as a 5.9-feet tall man with dark hair. “Both men speak German and have a foreign accent,” the police spokesman said. The incident comes less than a week after the one person was killed and one injured in a shootout at a popular tourist restaurant located in a historic quarter of Vienna.